From the first day that I took my iPad out of the box, I had no plans for it to end up being a child's toy. Same thought for my iPhone. We're talking (not cheap) technology that, while great for entertainment, can be pretty non-educational. Besides, did my kids really need another screen to stare at? 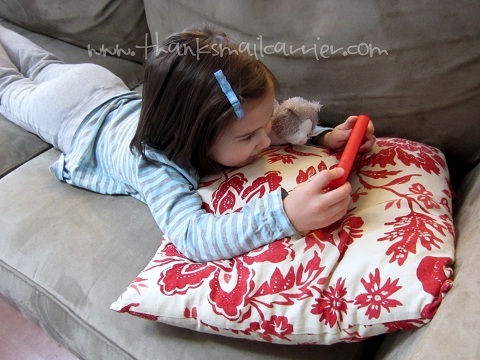 However, as pretty much any parent knows, technology for children has long surpassed being an afterthought. I know for a fact that I'm not the only parent that has to work to get that tablet or smartphone away from the kids, so why not embrace it? The problem that we've encountered here, however, is that the tablets designed for children typically end up being... well, toys. And while toy tablets can be great fun, they just don't hold my kids' interest nearly as much as the real thing. Which is why when I was introduced to the VINCI Early Learning Systems, I was immediately interested in finding out how these unique gadgets could combine an engaging, fun experience for my girls while also providing award-winning curriculum, safety and learning. Could these really be the best of both worlds? 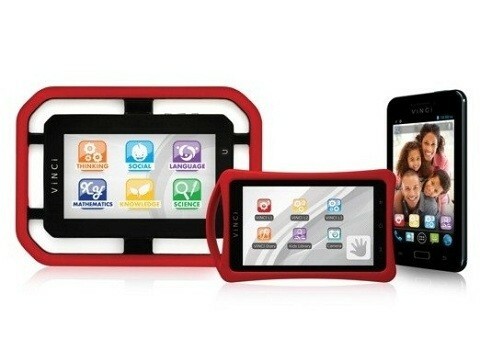 Named after Leonardo Da Vinci, VINCI is a mom-created system designed to prepare children for future success. This new category of fun learning tools has the goal to engage, empower and educate children and is the only Android tablet designed, tested, and approved by the FDA for children 18 months and older. With a variety of VINCI Learning Devices available that work in conjunction with the VINCI Curriculum — a step-by-step learning structure comprised of a series of age specific learning apps and assessment tools — the system is designed to grow with your child for years to come. Intrigued to see if VINCI could truly be a unique way to integrate technology and learning, we were all excited to see the VINCI Tab III M 5" Learning Tablet arrive. 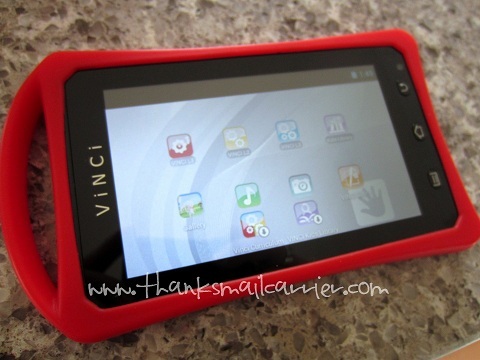 Right away we were impressed with the lightweight, durable feel of the VINCI Tab M and the addition of the red rubber cover and handle. Not only was this tablet protected from accidental drops, but the handle is perfect for carrying it around or holding it steady during play. When it came time to turn on this device and start browsing, I barely had to show my kids where the power button was before they were navigating on their own. ...the user-friendly menus make it incredibly simple to select the level of curriculum, the camera, the library, music, and more. Using the same touchscreen, drag-and-drop (or tap and slide) motions in which my kids are already familiar, they haven't had a single problem going through the three levels of VINCI Curriculum — which are split into The Curious, The Confident, and The Capable (comprised of 43 learning subjects). Each level is especially tailored to accommodate the different aspects of a child's developing mind by helping her/him build thinking skills, social and emotional understanding, language and literacy abilities, math and logical reasoning, science, and general knowledge. 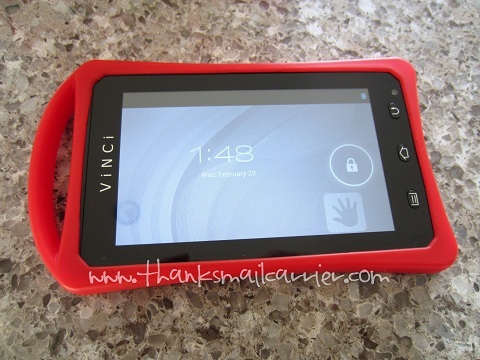 But as much as I appreciate that VINCI did such a great job sorting their curriculum into levels that make it simple for kids to select apps that match their ability, all my girls cared about was that this tablet is extremely entertaining and fun! My 4-year-old and 6-year-old have been enamored with the VINCI Tab M since that first day and haven't shown the slightest sign of growing tired of it. They can easily flip through the curriculum to choose their favorite and either don't notice that the games they are playing are packed full of educational knowledge, or they're just having too much fun to care! I love that each game has vocal instructions that go along with it, as that has made it possible for both girls to attempt to play nearly all of the games in all three of the levels without feeling as though they have to ask for help. Each one is just as colorful, interactive and engaging as the last, providing learning with entertainment (and lots of giggles)! Even though many of us parents have gotten used to the idea of relinquishing our smartphones and tablets to our kids, that doesn't mean that these tech devices are now being made with the durability required to withstand children's play, nor are all of the apps available appropriate for children. Instead, we have thus far been amazed by the VINCI Learning System and the way that it contains the latest mobile technology, 3D animation and touchscreen curriculum to engage children in a fun learning experience. My girls are constantly reaching for the Tab M and it has been easy to see them improve and gain knowledge as they progress! So far the only two issues we have encountered have been the slow load time (each application doesn't instantly appear when the icon is pressed, leading to some confusion on the kids' part on if there is something wrong with it) and the recommendation to not play on the VINCI while it is charging. My girls' shoulders slump when they realize that there are times they can't play with it! There is so much more to say about the VINCI Early Learning System Tablets (and even more features that we have yet to try out!) 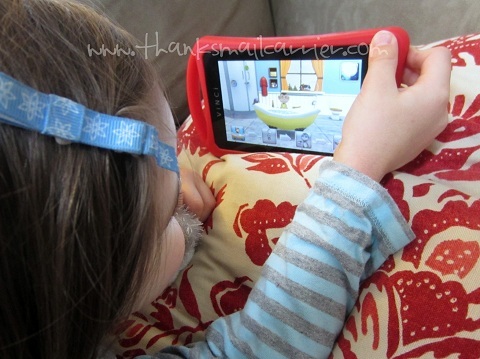 so stay tuned next month for the second half of my review to delve deeper into the play-based curriculum, its benefits, parental controls, WIFI, the overall structure of this device, the way that it can prepare children for a world of challenges and opportunities, and much more! 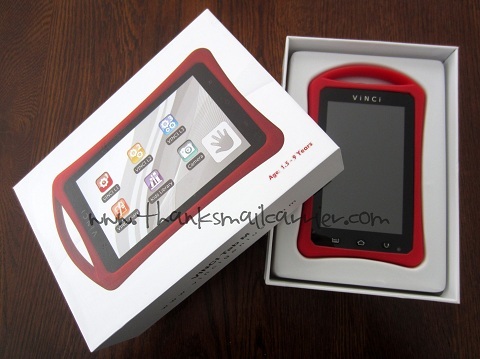 If you would like to find out more about VINCI, the devices and the curriculum, visit them online at VinciGenius.com and on Facebook. These innovative gadgets start at $169.99 and can be purchased directly from the VINCI Store so that you can get started inspiring the genius in the child in your life right away! My friend's 2year old grandson is always wanting to play with her phone. This would be good for him. My kids are always wanting to play with my phone and computer and ect.. this would be great for my kids. I'm glad they constructed it in such a way that it looks as similar to a real iPad or similar tablet while still being created for children to use and hold. The program itself sounds very promising, especially reading about how it caters to the various developing aspects of each child by introducing different levels in all the various areas. I suppose it's great that the next generation of techno-savvy children will be familiar with computerization right from the start, but still learn through a normal and progressive educational program.